There are certain pieces of heavy machinery on construction sites that get more construction equipment financing than all others. These are the earth-movers. These big, powerful pieces of construction equipment are used for a wide range of jobs on sites and are most often completely necessary to getting the job done and remaining profitable. There are a wide range of these machines, but below are four of the most impressive. These large pieces of machinery are favourites of individuals and companies looking for construction equipment financing. They come on either wheels or tracks and have long bucket arms attached to pivoting cabs that are able to rotate 30 degrees. Excavators are most often used to dig large holes or clear out debris, but they are also used to lift large pieces of prefabricated parts like pipes, as well as other smaller pieces of equipment. Backhoe loaders resemble tractors, except for the fact that they have a shovel on the front of the equipment, and a small bucket on the rear, which are used for digging. These are medium-sized pieces of construction equipment and are often used for small jobs where mobility and manoeuvrability are key. They are capable of moving dirt, backfilling and digging trenches and placing smaller prefab pipes into place. These are another popular item for construction equipment financing. These beasts are considered to be some of the most powerful and the most reliable pieces of heavy equipment in the construction industry. 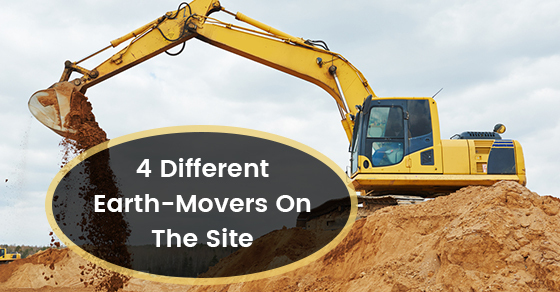 Bulldozers are most often used to move large amounts of dirt along similarly large expanses of land. Their size and weight make them ideal for moving around huge amounts of earth and other debris, and they can even be used to break up and crack small boulders, getting them out of the way of construction. These pieces of heavy equipment are used to fine grade and move around small amounts of dirt and soil. Their long blade can be adjusted to different angles in order to create a flat surface. Their most common application is fine grading dirt or gravel roads, or preparing the base substrate before laying asphalt. Heavy construction equipment is a must in the modern world because progress needs to be made fast, and at a profit. If you are thinking about investing in heavy construction equipment to help you get the job done quickly and effectively, consider the above pieces of powerful heavy machinery.